Do you deliver to…? A very frequently asked question, and to date we have yet to say no. We have two basic methods of shipping our boats, depending whether they are going to customers in Canada, the United States, or beyond. For deliveries to customers in Canada and the US, we have our own delivery truck, though it is not what you might think. It’s not a big panel truck, rather a run of the mill pickup truck and a trailer. 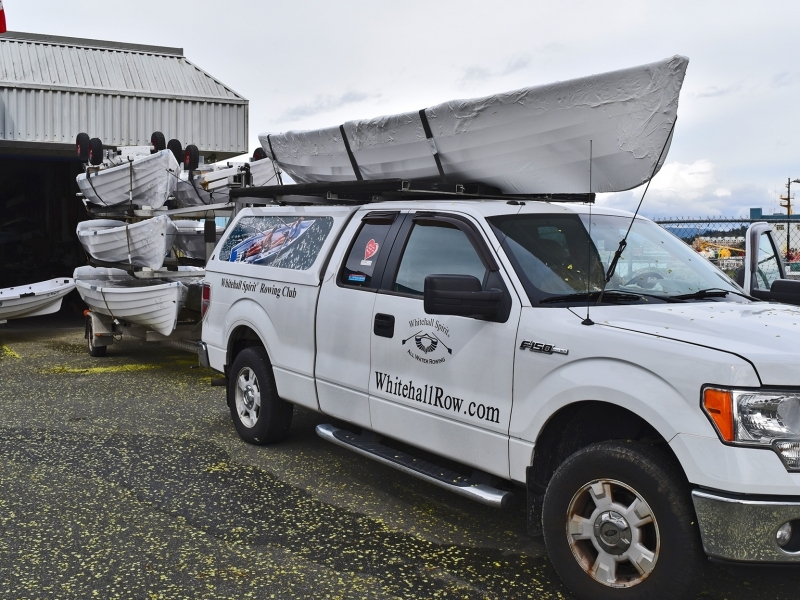 Our boats are relatively light so we can transport as many as eight boats this way – two on the roof of the truck and six on the trailer. This way we don’t need to crate the boats, which reduces the cost of shipping to the customer. We shrink-wrap them to protect them from road dirt and the weather so they arrive in pristine condition. 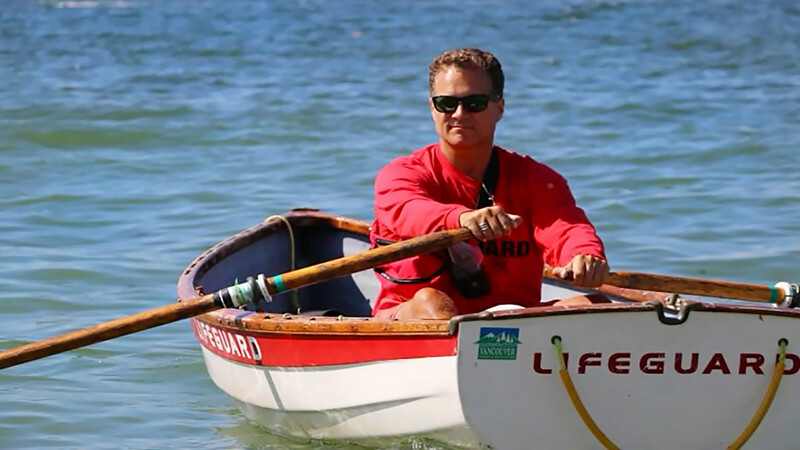 This also means that our dedicated driver is the only person to handle the boats between pick up and drop off, and he knows how to secure and handle the boats to ensure they are in no way damaged in transit. This is quite different in that we have to assume many people could be handling the boat. In this case we do build a custom crate around the boat and accessories so that it can be handled with a forklift and is well protected for a potentially rough journey. For international deliveries, we will ship to a major port within the destination country, where we then hand the shipment off to a local customs broker (sourced by the customer) who arranges importation and local delivery. To give you some idea, we’ve shipped our top of the line Expedition model to Sydney, Australia and Geneva, Switzerland. 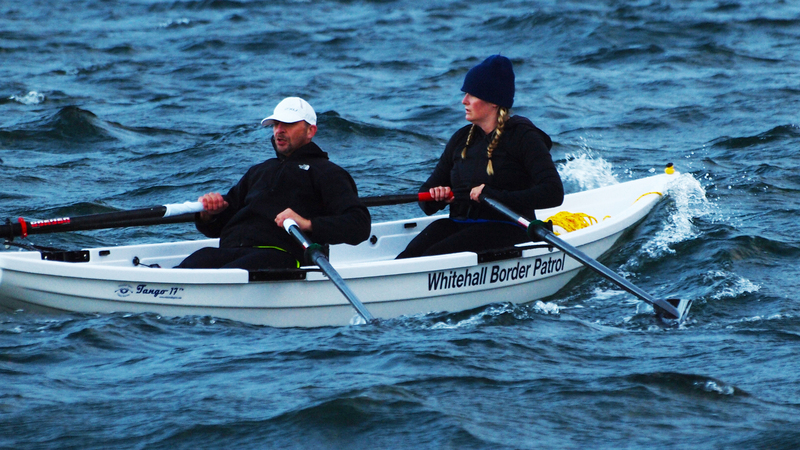 In addition, Solo 14s and Tango 17s have been shipped to Italy, the Sechelles, Belgium, Australia, England, Scotland, Wales, and Mexico, to name a few of the many countries around the world where Whitehalls are now being rowed.